Now that the World Cup is over, I hope that people all over the world have a new perception of South Africa and our cities. I hope that people will stop asking me if we have Lions and Elephants in our backyards. Or that when people read Shadows, they will no longer be surprised that Johannesburg is a big city and very similar to cities in places like the US. 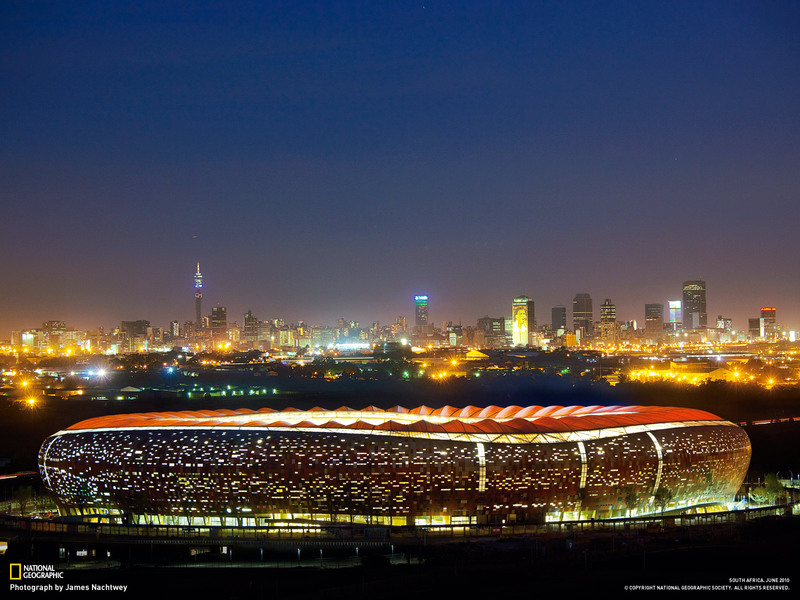 But incase there are still some out there who do not know how beautiful, big and dangerous Jozi is I found a picture that illustrates it. This picture also celebrates the end of the World Cup!